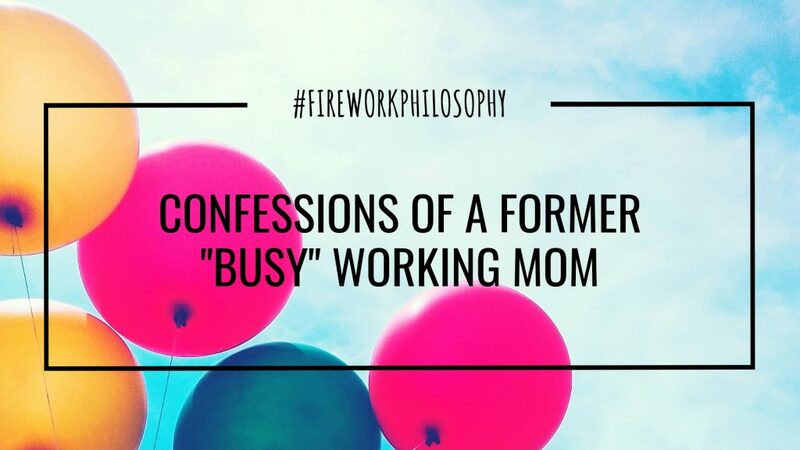 I’m a former “busy” working mom. I no longer like to use the “B” word. To me, it has a high-strung, worn-out, over-committed, negative connotation to it and I have no desire to feel any of those things. I haven’t always felt this way about being “busy” though. Once upon a time, I thrived on being “busy.” Without even realizing it, I was equating my value as a wife, daughter, friend, employee and community member to the number of meetings I had to attend, the number of family gatherings and events on my calendar and the number of things on my to do list. I subconsciously thought if I was continuously going and doing and constantly helping with something that wasn’t my own or contributing my time and talents to someone other than me, then I would be deserving of appreciation and significance. That I would then, and only then, be WORTHY. I was grabbing all of the ideas, events and opportunities by the end of the string like they were fun, colorful balloons so they wouldn’t drift away in the breeze and be gone forever. Over the past few years, and especially since our Little E came into our lives, I’ve been much more intentional about which balloons I grab – how and where I spend my time and, more importantly, what I commit to outside of my work and family life. Now, rather than taking pride in being “busy,” I take pride in being “unbusy.” I take pride in the fact that I honor myself and those around me by being purposeful and intentional in how I use the 168 hours we’re all blessed with in a week. CONFESSION #2: My calendar is still full. It may seem like someone who identifies as “unbusy” would have a pretty clear calendar. Someone who identifies as unbusy has created her calendar with intention. I still volunteer in my community. 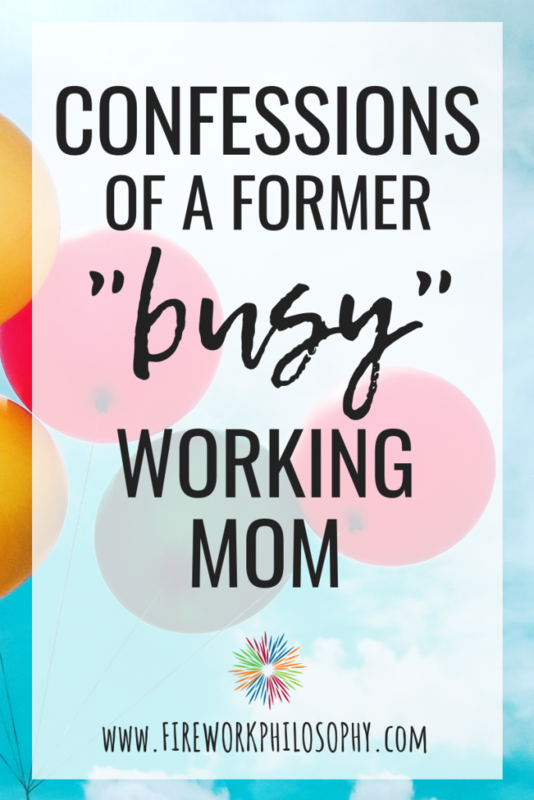 I still make time for just as many family gatherings as I did when I was “busy.” I’m now a mom which has created the biggest shift in how I spend my days. 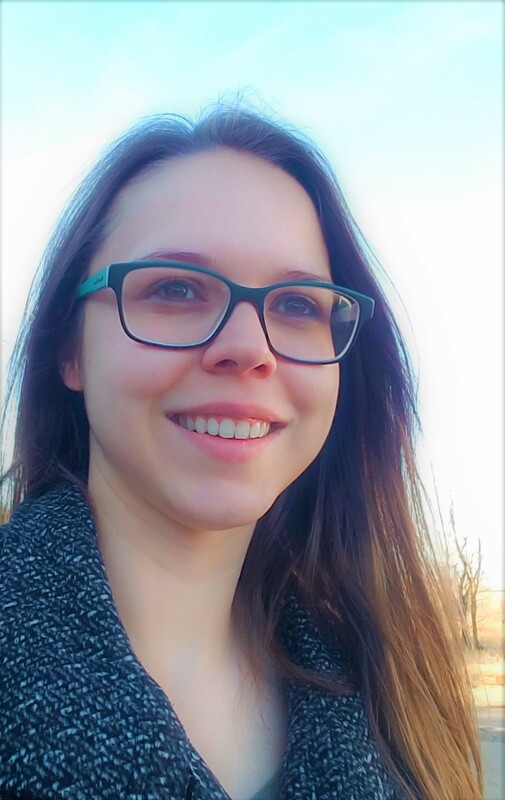 I still work full-time but now I also blog and help share others’ stories on the side. I still invest time in relationships with friends (which I probably do more of now than I ever did in the past). My calendar is still full. The difference is that I’m now saying “no” to things that aren’t filling my cup or that I would have only committed to out of obligation or guilt. Those were the things that made me feel like I was “busy.” Now, I only fill my calendar with things that make be feel intentional, joyful and fulfilled. CONFESSION #3: Becoming “unbusy” is a process. The practice of saying “no,” is just that…a practice. Letting go of certain roles, not feeling guilty for choosing what’s best for you and your family, recognizing that aimlessly filling your calendar for the sake of it being full will probably come at the expense of other things you want in your life – it’s all a learning process, especially if you’ve been functioning in this way for some time. Being okay with not being busy did not just happen over night. I didn’t just quit cold turkey and cut ties with things that weren’t making me feel fulfilled and excited. I had to learn how to say “No, I need to invest my time elsewhere.” I’ve had to learn how to not volunteer myself for things that I could do, and do well, even when I knew it wasn’t something I truly wanted to do. And the thing is, I’m still learning how to say “no” to avoid committing to things that aren’t truly in line with how I intentionally what to live my life in this season of my life. I want to be a part of all the ideas and all the momentum and all of the great things – I want to grab all of the colorful, shiny balloons – but I know better now. I know you can hold on to four or five balloons, and enjoy them so much more, than if you were to try to desperately hold on to four hundred balloons that were trying to whisk you away on a journey you’d soon realize wasn’t a journey you intended to go on. As a working mom, it’s easy to get “busy” with work, your personal life and you’re kids’ needs and activities but trying to embrace anything and everything that comes your way can lead to feeling exhausted, over-extended and like your life is functioning at a million miles per minute and I’m assuming that’s not the kind of life you want for yourself or your family. What’s your take on the word “busy?” Does feeling “busy” give you energy or wear you down?